SweetRickey has insisted, literally for years, that Elfa shelving from the Container Store is the cure for what ails you. Personally, I believe that new pajamas improve any situation, but she is my best friend, so I half listened, nodding, and went back to shopping online for embellished nightshirts. Then one day I woke up and couldn’t take it any more. The main feature of my living room was a train table – which is fine, because we have a kid, and that’s just how it goes, but the toys and STUFF were just taking over. And I was losing my mind. Mr and I were arguing about the mess and clutter, and yelling at B to pick up after himself, but there was really no where to put things. A conundrum! Yes, Mr. is standing on a dresser. No, we don’t have a ladder. What’s your point? I am so delighted with the final product that I can hardly stand it. 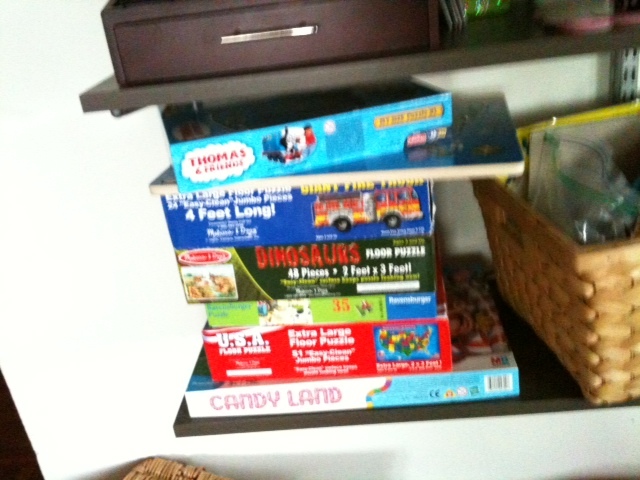 B’s things go on the bottom shelf where he can reach them and, most importantly, put them away. 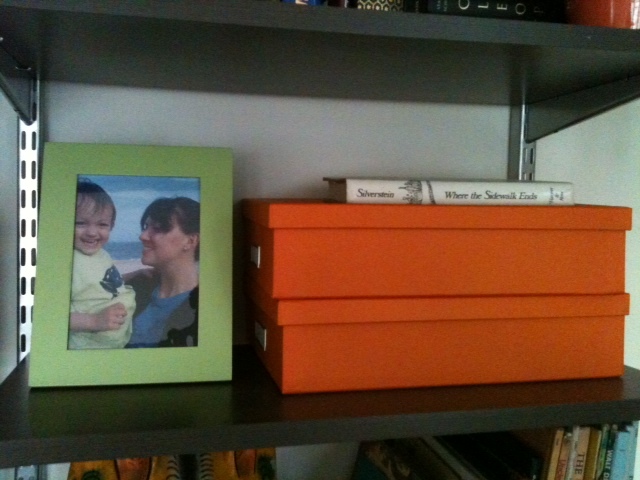 And now we have a place to display some of our favorite tchotchkes and family photos, and to store our books. The train table has been banished (just for now), so we have room for a little table and a rug to do puzzles on, and B’s beanbag chair. 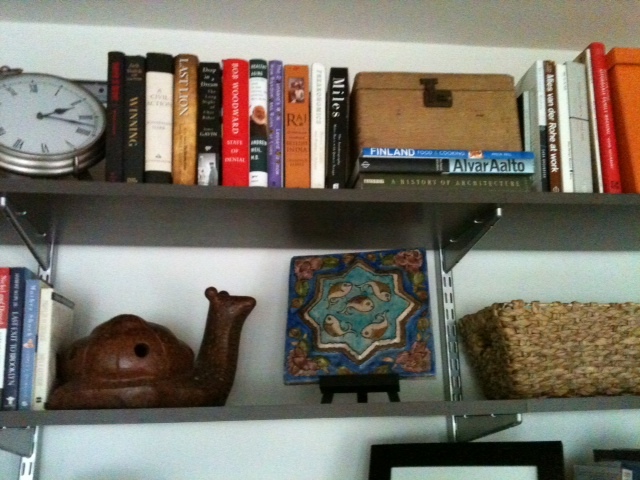 A representative snail and a tile from Israel. 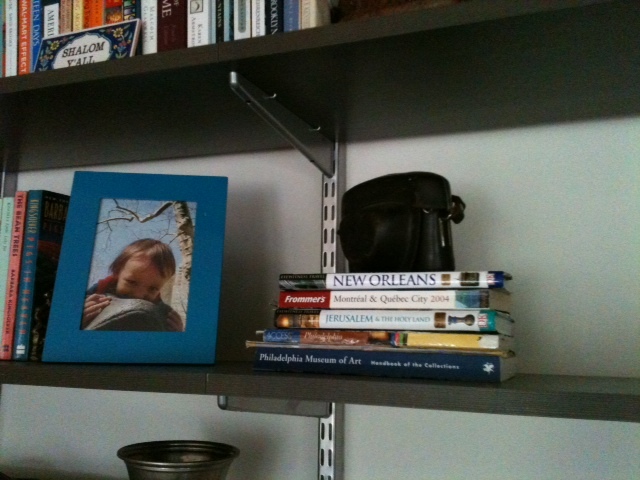 This entry was posted in city life, conspicuous consumption, random, the fam by Southern Girl. Bookmark the permalink.